May 1 – 31! 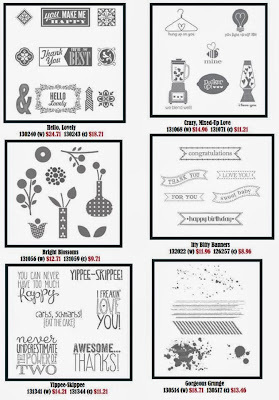 Want to get your hands on new products from the Stampin’ Up! 2018-2019 Annual Catalog before it begins on June 1? Click here for a brochure of the product bundles you can order during the Share What You Love Early Release promotion! This video shows you in awesome detail the different Share What You Love bundles and FREE products! DON’T MISS THE FREE PRODUCTS! Bundles may be included as part of a $99 Starter Kit (valued at $125). Bundles are exclusive to the early release and will no longer be available after May 31, 2018. Individual items from the Share What You Love suite will be available when the 2018–2019 annual catalog is released on June 1, 2018. If items in the bundles become unavailable during the sales period, available items will ship, and backordered items will ship separately when available. SAVE 10%! IN COLOR INK PAD COLLECTION 2018-2020. Get Blueberry Bushel, Call Me Clover, Grapefruit Grove, Lovely Lipstick and Pineapple Punch Ink Pads (before their release June 1) and in the NEW ink pad design. 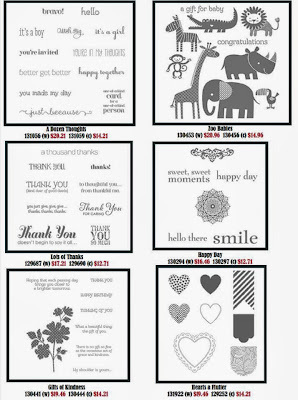 And as always, each and every qualifying order that you place with Stampin’ Up! with me as your demonstrator earns you my Monthly Free Gift Bundle. To place a qualifying Stampin’ Up! order to take advantage of this month’s free gift, click HERE to go to my Online Store and add the Host Code EW2PZFWQ to your Shopping Cart. You’ll find the place to enter it in the lower left-hand corner of the Shopping Cart (not at checkout, just the Shopping Cart). 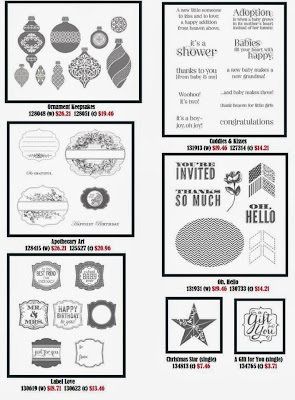 Tags: in colors 2018-20, share what you love bundle, stampin up demonstrators, stampin up promotions, Stampin' Up! BONUS DAYS! JULY 7-31. EARN IN JULY. REDEEM IN AUGUST! What an exciting promotion Stampin’ Up! has for you for the month of July! AND with a brand new Annual Catalog to order from, too! For every $50 (on a single order, price before shipping and tax) you spend between July 7 – 31, you’ll earn a $5.00 Bonus Days coupon to redeem between August 2 – 31, 2016. IMPORTANT! Save both the email containing your Bonus Days coupon codes AND write down the coupon codes in a safe place. Codes cannot be re-sent if the email is lost, and lost codes cannot be recovered. ORDER AN EXCLUSIVE, LIMITED-TIME BUNDLE! AUGUST 2-31 ONLY! You will be able to order the Thoughtful Branches exclusive, limited-time bundle between August 2 and 31 (while supplies last). IMPORTANT! All exclusive items associated with this promotion will be available until August 31 (or while supplies last). See the Thoughtful Branches Bundle here! 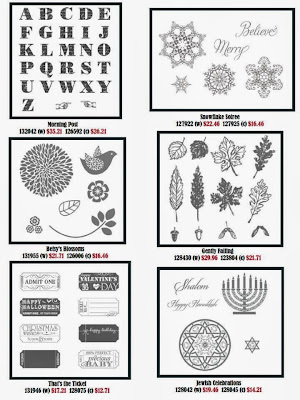 You may use your Bonus Days coupons on the Thoughtful Branches Photopolymer stamp set, Beautiful Branches Thinlits Dies, Thoughtful Branches Bundle OR ANY Stampin’ Up! products (excluding Starter Kits and Paper Pumpkin subscriptions – new prepaid Paper Pumpkin codes can be redeemed). And even more good news! You can still use the current Host Code, earn through Bonus Days AND receive my FREE monthly card kits! Just place your order in my online store HERE and use Host Code QRUBW3UB. Today's the final day to take advantage of the 25 Stamps for 25% Off promotion. I've linked samples of cards on my website using the above sets – check them out! Wow – this list includes some of my most favorite and best-selling stamp set of the catalog! Be sure not to let this special pass you by. There's always free card kits to be had for your online orders! It's so simple – just grab the code for the current card kit (you'll find them HERE), enter the code in your shopping cart along with a qualifying order and I'll send you the card kit completely free – there's not even any shipping cost! To view all of the stamp sets in my Online Store and to place your order, click here. As part of Stampin' Up! 's 25-year anniversary celebration, they are bringing back some of our favorite stamp images from the last quarter century and combining them into 12 sets, which will be released one set per month during 2013. Even better, along with some great classic images, each "Best of" set will also include a never-before-seen image! Available starting today, the January theme is Best of Birthdays! Click HERE to buy it! Here's the really cool extra perk! As a special incentive to collect the Best of Stamps series, starting in February we're including a collector's card and 25-year proof of purchase sticker with every Best of set. Collect six stickers,that you then place on your Collector's Card and send it in to redeem a FREE set of your choice valued up to $14.95! (Free sets must be redeemed no later than April 30, 2014.) Click here to download a Collectors' Card. Click the button above and it will automatically bring you to my Stampin' Up! website. Then click SHOP NOW in the navigation bar to begin shopping online! I live in Rochester, NY, with my husband, Glenn and I just love sharing Stampin' Up! with others and helping people find their own creativity. I've been fortunate to meet some terrific women all because of Stampin' Up! As an independent Stampin' Up! demonstrator, all of the content on this blog is my sole responsibility and the use of and content of the classes, services, or products offered is not endorsed by Stampin' Up! The contents of my blog are my own and ©Kriss Huels and as such may not be copied, sold, changed or used as your own for contests, profits or otherwise without my permission and is here solely for the purpose of inspiration, viewing pleasure and enjoyment. Thank you for understanding.